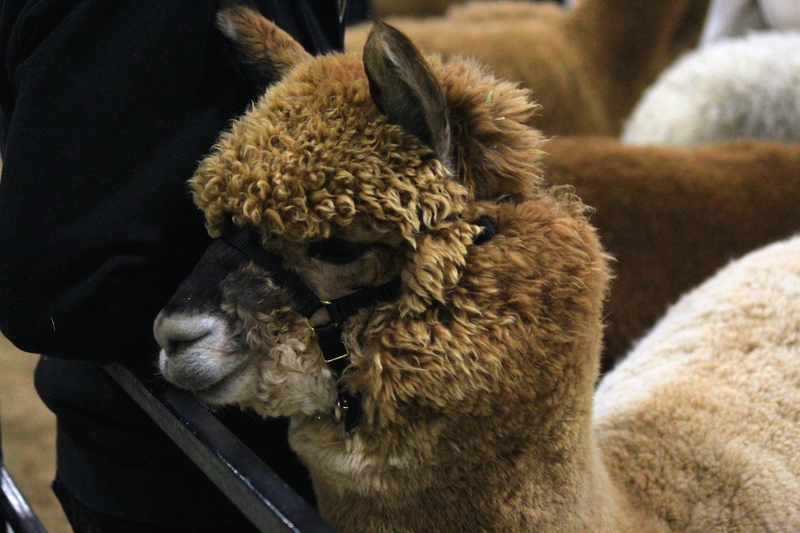 It is my opinion that you should not have been working or been otherwise occupied…you should have been in Orangeville, Ontario to see the amazingly cute and squishy alpacas at the 14th Annual Alpaca Spring Show! I went with two friends and we had a fantastic time! I’m not a “squeee!” kind of girl…but I freely admit that alpacas bring me close to squee-ing. I have no words for how darn cute and cuddly they are. I just can’t express how adorable I find these creatures. I have always thought they were pretty darn awesome and then today…. I heard a number of them communicating by humming low and soft! So endearing!